How Do I File for Divorce in Maryland? Divorce can be overwhelming, stressful, emotionally draining, long, and expensive. But while separating from your spouse will never be an easy or happy process, the right divorce attorney can make certain that it goes as quickly, smoothly, and economically as possible. 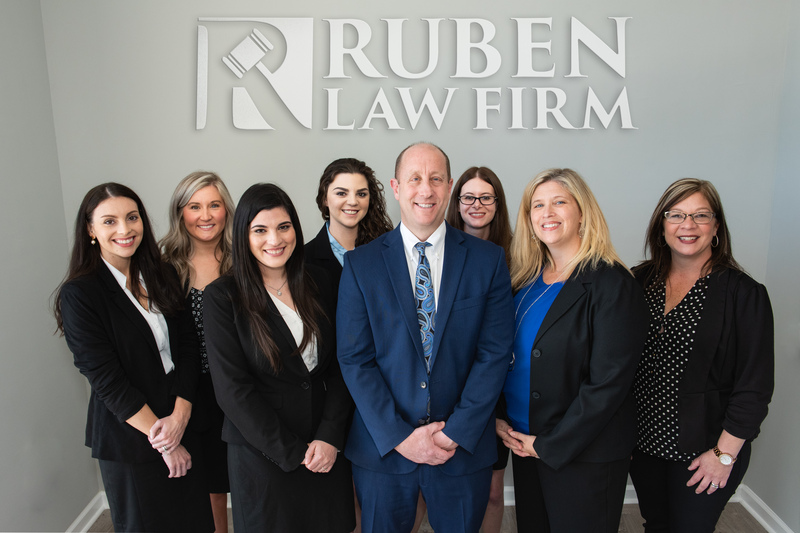 At Ruben Law Firm, we are dedicated to helping our clients transition to the new chapter in their lives as efficiently and undramatically as allowed, all while making certain that you get what you deserve under the law when it comes to property division, alimony, child support, and child custody. A stellar Baltimore divorce lawyer in Maryland should partner with you, learn your story, know your needs, and fight hard for what you are owed under the law as you end your marriage. We are here to support you, help you know your rights, and ultimately start your new life financially secure and with the people that you love. To learn more about our family law services, please contact us today online or call our offices. Cruelty/Harsh behavior toward spouse or child. Separation of at least one year. Certain Criminal convictions with long jail sentences. Mutual consent is the newest option for those seeking an absolute divorce, though couples seeking this option may not have a minor child in common and must submit to the court a separation agreement in which both parties agree on issues like property division and alimony. When it comes to the division of property, Maryland is an marital property state. This means that the money and property belonging to the couple is split fairly by the court (not necessarily a 50-50 split) depending on a number of factors, including each person’s contributions before and during the marriage. To learn more about the division of property during divorce, please explore our collection of videos that describe the Maryland Marital Property Act and many other family law issues in more detail (and in plan english). Child custody in Maryland begins with the idea that any decisions made about the child’s life should be in the child’s best interests. In part, this involves the idea that a child is often best off when in contact with both parents. Legal custody refers to the ability to make decisions for your child or children. A court can grant sole legal custody or joint legal custody. The most important consideration by the court regarding legal custody is is whether or not the children’s parents can effectively make decisions together. If not one parent may be awarded sole legal custody. Physical custody is simply a term that describes who the child stays with at a particular time. Primary physical custody generally indicates that the child will stay with one party most of the time, especially during the school year, while seeing the other parent less frequently. Shared physical custody means that the children will move between the parents somewhat equally. Whatever the custody in your case, it is vital not to get caught up in labels and legal terms. Instead, speak to an attorney about your wishes and your case. The earning capacity of each parent. In Maryland, the court always applies the Maryland Child Support Guidelines. For a closer look at these guidelines, please check out our video. Although no child custody plan or child support plan is permanent, it is extremely important to fight for the idea plan for your children and your life during the divorce, both to give everyone in your family the best new start, and to try and prevent lengthy and expensive court battles in the future. An attorney can help you better understand your options under the law as well as what you should fight for in your particular situation. In some cases, spousal support–referred to in Maryland as alimony–is awarded in a divorce. Alimony is payments from one spouse to another that does not involve the care of children. Most types of alimony are temporary payments that help the less financially secure spouse get on their feet and find another source of income, though in some cases indefinite alimony is awarded. Each person’s current financial situation. The quality of life during the marriage. Each person’s predicted future financial situation. The age and health of each person. Who is at fault for the divorce, if it is a fault divorce. Your attorney can work with you to determine whether or not spousal support is appropriate to request or offer, and if so, what the fair amount of spousal support should be. What’s your legal background, and what is your experience handling divorce cases? What are your rates, and how much do you think my divorce will cost in legal fees? How do you approach each of your divorce cases? How available are you to speak with me throughout my case? How long do you think my divorce process will take? Also remember: meeting a Maryland divorce attorney in person for an initial consultation can help you understand whether a particular lawyer is a good fit for you. The sooner that you can finalize your divorce, the sooner you can begin a new, fresh chapter of your life as an independent person. In addition, the fairer and more amicable your divorce, the more likely you are to start that new chapter with the resources you need and the mental health to begin again. At Ruben Law Firm, we are here to help you through this processes as efficiently as possible, with all of the help and care we can give. To learn more about our legal services, to meet our attorneys, or to ask a question, please call our offices today: (410) 766-4044.